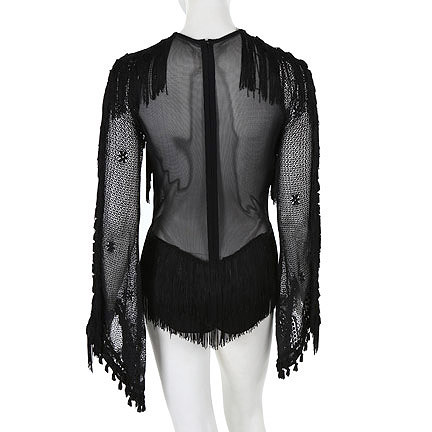 Rihanna wore this black-fringed long sleeve one piece in the music video for Shakira’s international hit single, “Can’t Remember You.” Rihanna can be seen wearing this revealing costume throughout the video. The song debuted on “Billboards” Hot 100 at twenty eight becoming Shakira's highest-debuting track in the region, the song went on to peak at fifteen on the chart. On January 13, 2014, the audio of "Can't Remember to Forget You" was uploaded to Shakira's VEVO account and has since garnered over 240 million views. 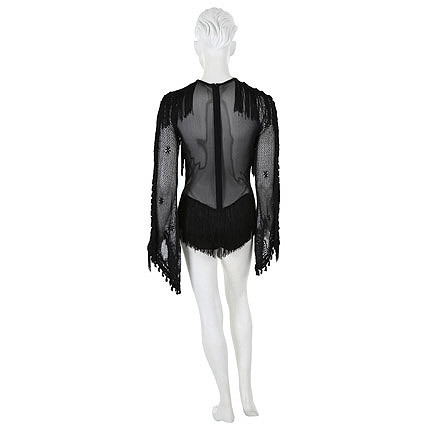 The items are in good condition and are accompanied by a certificate of authenticity from the costume house. Presented by The Golden Closet, your premier source for iconic screen used wardrobe, props, and music entertainment memorabilia.